The Latest in Celebrity News, Red Carpet Moments, Viral Videos and Breaking Celeb Rumors! 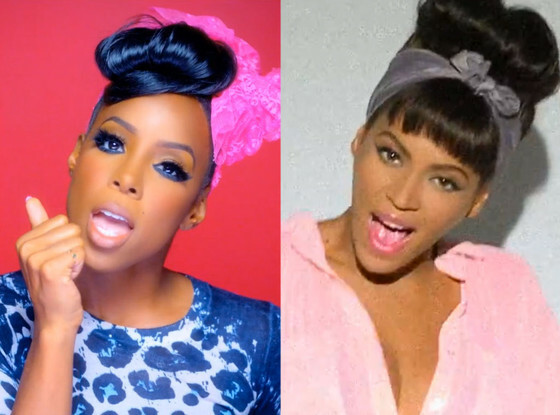 : Beyonce Copys Kelly Rowland? Back in 2010 Kelly Rowland released a song called Grown Woman which was supposed to be her first single off her third album but Kelly rejected the song as a single and released Motivation later on instead..
And on April 4th Beyonce debuted her new song Grown Woman in her new Pepsi commercial.. Both songs have similar lyrics! Do you think Beyonce's new song is based on Kelly Rowland's rejected song?